Dr. Lisa Barrett is a clinician scientist with expertise in infectious disease and human immunology. 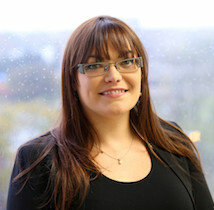 She received her PhD (2008) and MD (2005) from Memorial University in Newfoundland. Her doctoral work investigated anti-viral responses to Hepatitis C virus in the context of HIV co-infection. 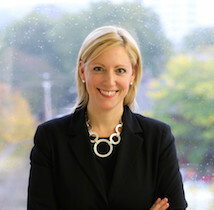 Dr. Barrett extended her medical training and completed an internal medicine residency at Dalhousie University in 2009 and an adult infectious disease fellowship at the University of Toronto in 2011. She completed postdoctoral and clinician scientist training at the National Institute of Allergy and Infectious Diseases, NIH, Bethesda, MD, where she was the immunologic lead on several early phase clinical trials investigating direct-acting antiviral therapy for Hepatitis C virus and a Phase 1 trial of immune based therapy for Hepatitis B virus. Her postdoctoral human immunology studies examined the impact of Hepatitis C infection and viral clearance on immunologic aging. Dr. Barrett joined Dalhousie University in 2013 and established the Senescence, Aging, Infection and Immunity Laboratory, which combines her infectious disease and immunology expertise and is comprised of an expert team of clinical and basic science researchers. Dr. Sharon Oldford is an immunologist who works with Dr. Barrett to coordinate SAIL’s basic science research projects. 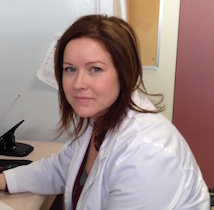 Dr. Oldford obtained her PhD in 2007 from Memorial University, NL. Her doctoral work investigated the prognostic significance of immune markers in breast cancer. She completed her post-doctoral training at Dalhousie University, where she studied innate immune-based cancer therapeutics and human mast cell responses to immune mediators and viral infection. Her current research interests include investigating the effects of chronic viral infection on immune phenotype and functional changes and experimental models of immunologic aging. Susan Brushett works with Dr. Barrett in administrative coordination. Ms. Brushett has many years experience in management following her bachelor’s degree in teaching and a diploma in business management. She has been with the Department of Medicine since 2009. Our research program is possible because of the expertise and commitment of our clinical team. Yvonne Lynch-Hill is a clinical nurse specialist working at Capital Health and its predecessor organizations for 33 years. She received her Baccalaureate of Nursing from Dalhousie University and her Masters of Nursing from the University of Massachusetts. She has worked in the field of infectious diseases for most of her career with a specialty in HIV and Hepatitis C. She is an avid dog fan competing in agility at a national level with her beloved dogs. 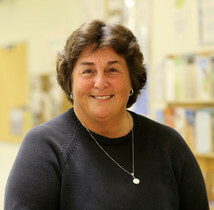 Pam Routledge-McKinnon is a registered nurse with Capital District Health Authority in Halifax, Nova Scotia. She received her Diploma in Nursing from Cape Breton Regional Hospital School of Nursing and her Baccalaureate of Nursing from St. Petersburg College in Tampa, Florida. 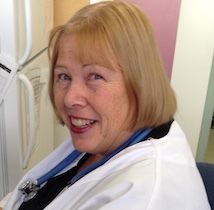 Pam joined the Infectious Disease Clinic team in April 2014. Her past clinical experiences include medical/surgical/coronary care, high-risk obstetrics & gynecology, and hemodialysis. Dr. Johnston acquired her MD from Dalhousie University in Halifax, NS, and then went on to residencies in internal medicine (Dalhousie University), infectious disease (University of California, Los Angeles) and hospital epidemiology (University of Virginia, Charlottesville). 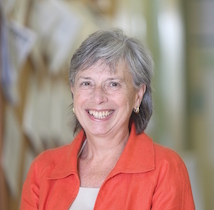 She has been on faculty with Dalhousie University Department of Medicine since 1987 and is currently professor of medicine and division chief of infectious diseases at Capital District Health Authority in Halifax. Dr. Johnston has held several positions with her National Specialty Society and is chair of the Public Health Agency of Canada’s Expert Advisory Group on Infection Control Guidelines, a committee she has served on since 1996. 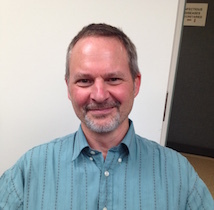 Dr. Ian Davis completed his medical training at the University of Toronto in 1992 and a family medicine residency in 1994. He then completed further training in internal medicine, medical microbiology and infectious diseases at Dalhousie University in 2004. He is now an assistant professor and on faculty in the Department of Medicine, Division of Infectious Diseases at Dalhousie University since 2009. He has a clinical practice at the Queen Elizabeth II (QEII) Health Sciences Centre in infectious diseases and medical microbiology and is an epidemiologist with the Infection Prevention and Control Program at the QEII. Dr. Davis also has a special interest in TB, HIV, Hepatitis C and tropical diseases.